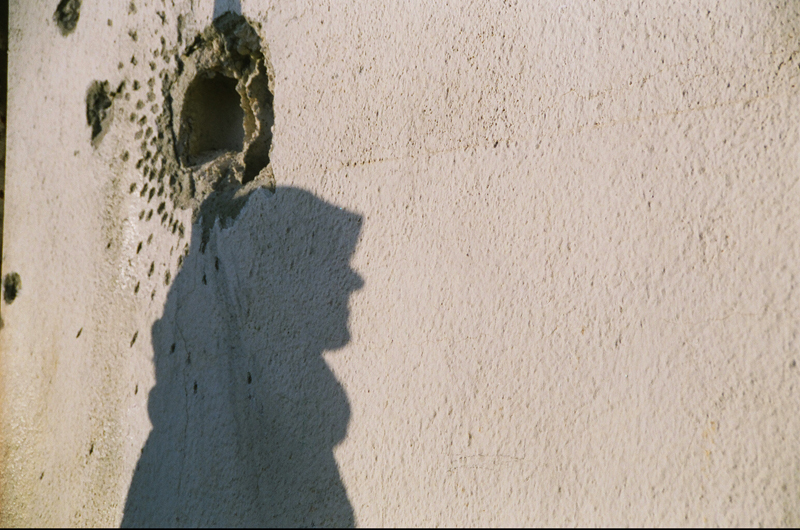 Description: This shadow on a shelled house was cast by a daughter of a man captured and imprisoned by the Israeli Defense Forces (IDF) in the recent war in the occupied village of Maroun En Ras. Their house was partially destroyed and the interior was willfully damaged. The family barely escaped the village; the father willingly turned himself in in order to protect his wife and children.